How Harsh Winds Damage Your RoofShould I Put Solar Panels on My Roof? Finally, the spring is here in Ottawa! And before you gear up to tackle your spring cleaning list, the first priority that should be right at the top is evaluating your roof for any signs of damage left over by the harsh winter weather. It’s always necessary to have your roof inspected by a professional roofing contractor, but if you’re keen on also taking a look up there yourself, here are some brief guidelines when inspecting your roof. Just because the sun is shining, it doesn’t mean you need to head up to the roof at the first sign of spring. 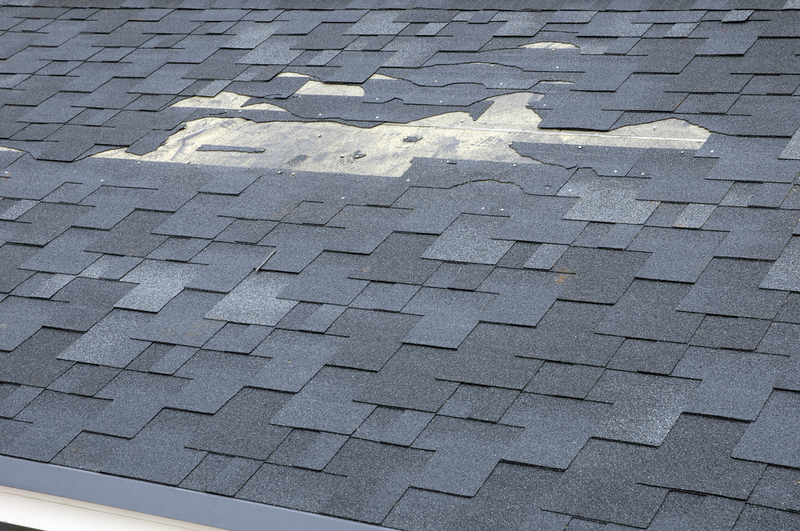 There’s no immediate rush and walking on a wet roof can be dangerous. The most important factor is always safety, so be sure to wait until the weather has warmed and your roof is completely clear and dry from the winter. Check the Flashings – Any areas where there are flashings, such as sunroofs or the chimney, can be especially vulnerable during the winter. Inspect the flashings along these structures for any sing of wear and tear. Check the Shingles – Take a look at the shingles along the roof for any signs of cracked, broken, knuckling or missing shingles. Shingles can lift and buckle during the spring time with the fluctuation of temperature. These can create potential areas for moisture to penetrate through and into your home. Check Eaves and Gutters – The eavestrough and gutters are an important area that must be cleaned out and assessed after each winter. The combination of leaves, snow, and ice can create a sludge that can prevent water from draining through them and away from the roof. The weight can also cause them to crack and break, so be sure to inspect them and have them cleaned each spring. Check for Wood Rot or Weakened Areas – Wood rot or any areas that feel soft beneath your feet could be serious problems to contend with. Always keep a look out for sunken areas along the roof. If you do notice any signs of wood rot, you should have a professional roofer inspect your roof immediately. Winter damage to your roof can be minimized and easily repaired by evaluating it each and every spring. And even if you do decide to get up and take a look at your roof, it’s always wise to have it thoroughly inspected by an expert roofer to ensure that nothing goes unnoticed. If you’re a homeowner in Ottawa, contact us at Roofmaster. We can take care of all of your roofing needs!